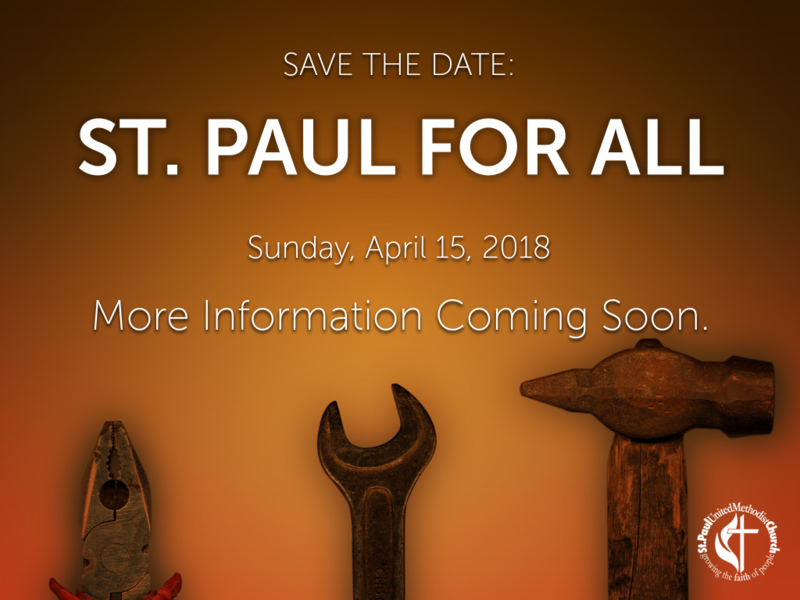 A special insert of these recognitions will be printed on an insert in the Easter Sunday bulletin. The cost is $12 each. 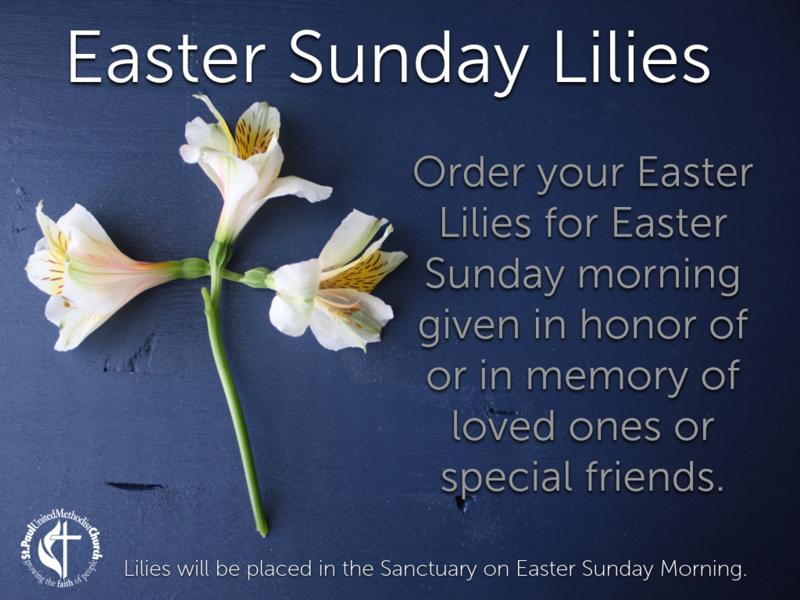 Please make your check for the lilies payable to the St. Paul Altar Guild. 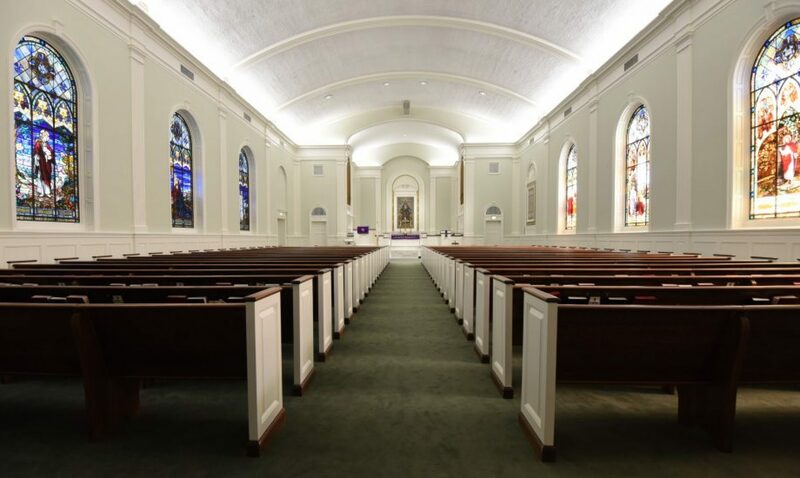 Forms can be found in the Sunday worship bulletins and at the Church office. We have 120 lilies so orders are on a first come, first serve basis. Years ago a dear friend introduced me to different types of prayer. I noticed prayer failed her monastic life, and as we served the same church, I was drawn to how she prayed. What I learned from her was that the many methods of prayer offer vitality. They have and continue to be a spiritual anchor for me because in our ever-changing world, the discipline of prayer constantly reminds me of God’s love. If I could offer some advice of how to use this booklet, it would be to try them all. Some of these methods will be familiar while others will feel strange. Stay with it — try them all. Upon experimenting with each method, you will find the two or three methods of prayer that help you stay in love with God. They will be the means to great intimacy with our Beloved Lord. God bless you and I hope you enjoy these methods as much as I do.